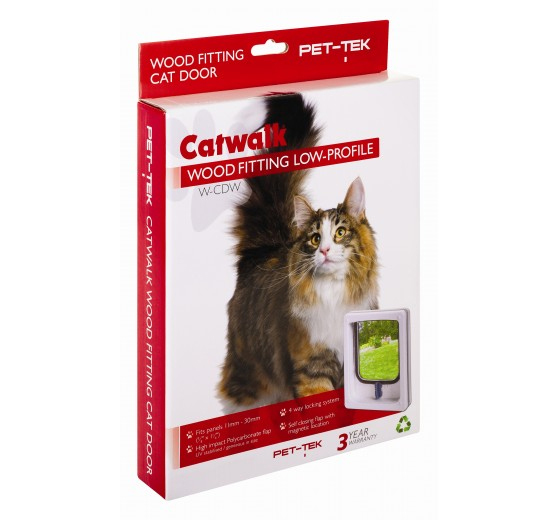 This attractive Catwalk® Wood Fitting Cat Door is designed to fit all thin panels of wood, metal, composite and PVC construction. 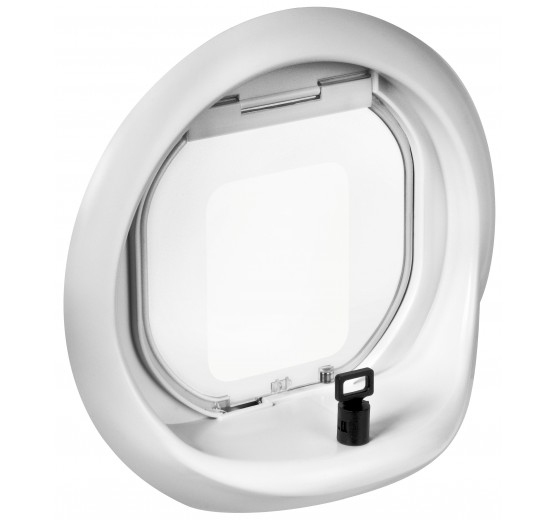 Due to its low profile tunnel it will fit all panels from (11mm -30mm). 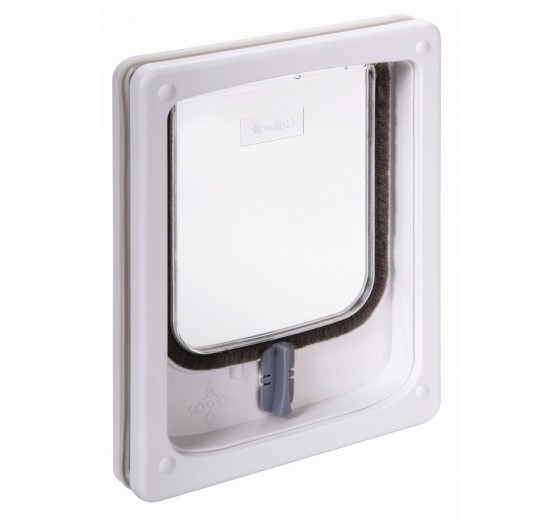 The pet door is simple to install and has a weather seal flap to reduce draughts. All fixing screws are stainless steel, avoiding potential rust stains on door panels. The flap size is generous, 170mm (H) x 155mm (W) and suits all cat breeds. A template is supplied for marking and cutting of the door panel complete, with instructions and a 3 year manufacturers warranty. 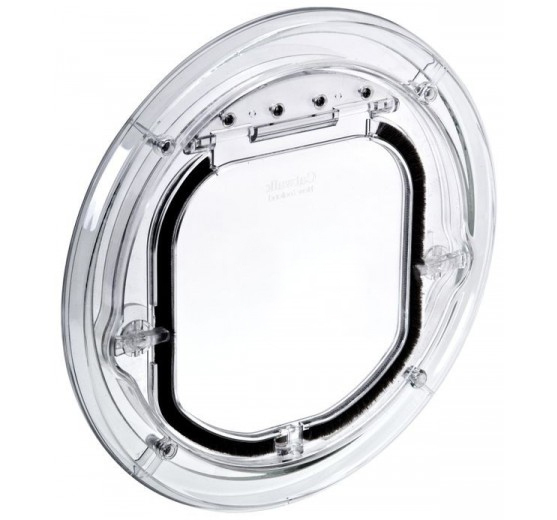 The door flap is manufactured from UV stabilised high impact (PC) Polycarbonate to endure the rigours of animal use. 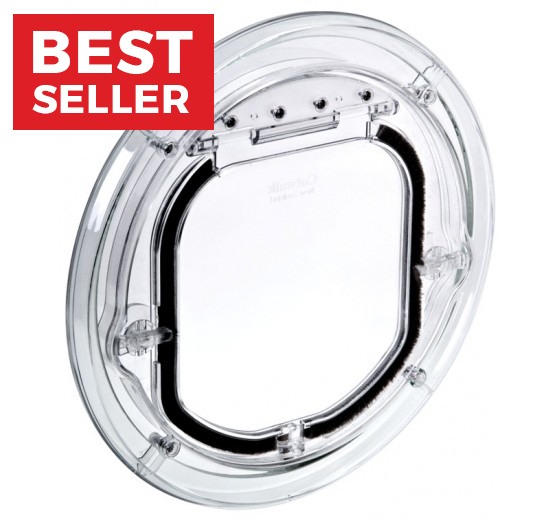 A four way manual locking system is provided to allow the owner flexibility with the pet’s movements. In only position, will allow your cat entry but prevent the cat from leaving. 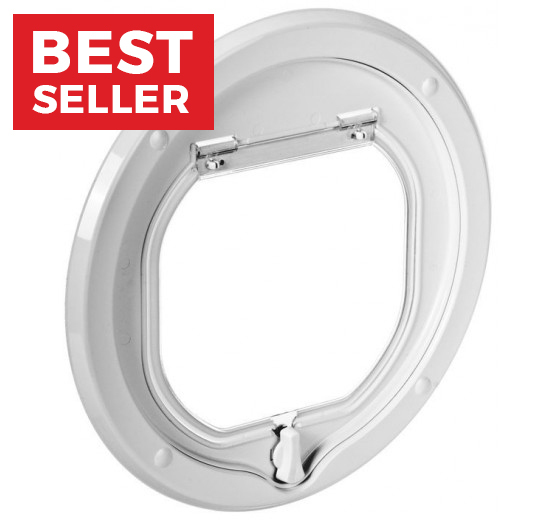 Out only position, will allow your pet to leave the house but prevent the cat from re-entry. The locked position will prevent the pet from both entry and exit. The In and Out position will allow both entry and exit.